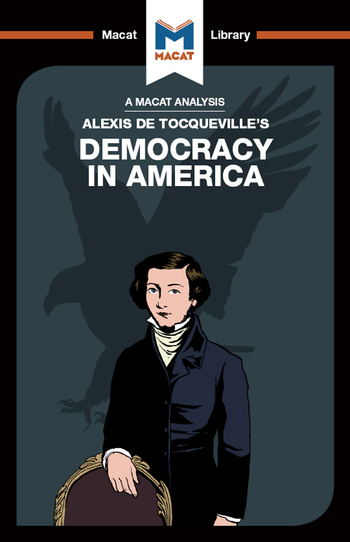 Alexis de Tocqueville’s 1838 Democracy in America is a classic of political theory – and of the problem-solving skills central to putting forward political ideas. Problem-solving has several aspects: identifying problems, finding methodologies to deal with them, and applying the right criteria to work out how to solve them. Indeed, offering solutions is only the last stage in a developed process of problem solving. For Tocqueville, the problem at hand was how best to run a democratic state. In the early 19th century, it seemed clear that Europe was headed in the direction of democracy, but in the wake of the French Revolution, it was unclear how to avoid the many pitfalls on that road. Tocqueville therefore turned to America, then point the most established democracy in the world, to investigate the institutions that allowed it to run as a successful state – allowing people their say while preventing both the possible “tyranny of the majority” and the uncontrolled growth of government. Tocqueville’s careful analysis of the strengths of American democracy was then applied to the problems of instituting democracy in France, providing a range of solutions that proved deeply influential in European political thought. Dr Elizabeth Morrow is currently a research fellow at the Department of Political Science and International Studies, University of Birmingham. She began her career as a lawyer with the Victorian state government in Melbourne before completing her PhD in Politics in the Department of Political Economy at King’s College London.